What does it mean to live rurally in the 21st century? This is the foundational question asked during each episode of Rural Routes Podcasts. 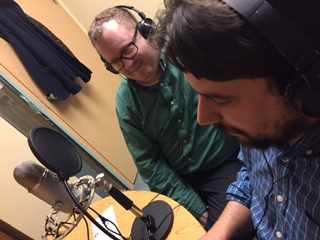 The online podcast program was created in 2015 through a partnership between the Leslie Harris Centre for Regional Policy and Development and the Canadian Rural Revitalization Foundation. In Episode 12, Dr. Gibson shares his experience meeting with researchers at the Cold Climate Housing Research Centre in Fairbanks, Alaska. During the 2016 International Comparative Rural Policy Studies Summer Institute, Dr. Gibson had the opportunity to meet with researchers and staff at the Cold Climate Housing Research Centre. The Centre is a nonprofit corporation that strives to build appropriate housing for the northern most climates in North America. The Centre is involved in a large number of initiatives ranging from building design to moisture control to indoor plumbing. The Rural Routes episodes explores a number of the recent success stories emerging from the the work of the Centre. Listen, or download, Rural Routes Episode 12 by clicking here.